Open kitchen, sleek and modern design, craft cocktails, boutique wine producers, craft beer selection and seasonal New American cuisine are descriptors that can be used for some of the hottest restaurants right now. And one of those restaurants is The Bellwether in Studio City. Studio City is a wonderful neighborhood in Los Angeles. There is a sense of community with lots of families and singles, boutiques, farmers market and hiking trails. And, of late, a growing dining scene. The Bellwether is owned by Chef Ted Hopson and Beverage Director Ann-Marie Verdi. As Father’s Office alums, both have spent years on the westside of Los Angeles. When looking to open their own place, they sought out a good community in which they could become a part. Studio City was this place. 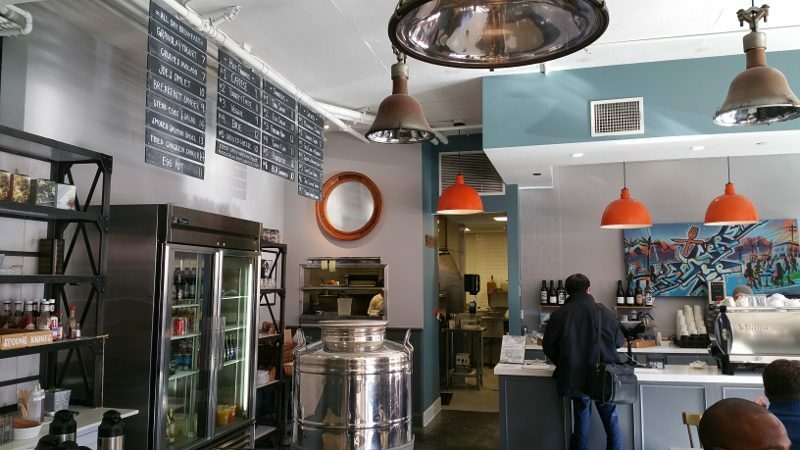 The Bellwether is a perfect neighborhood spot, but it is also a destination. 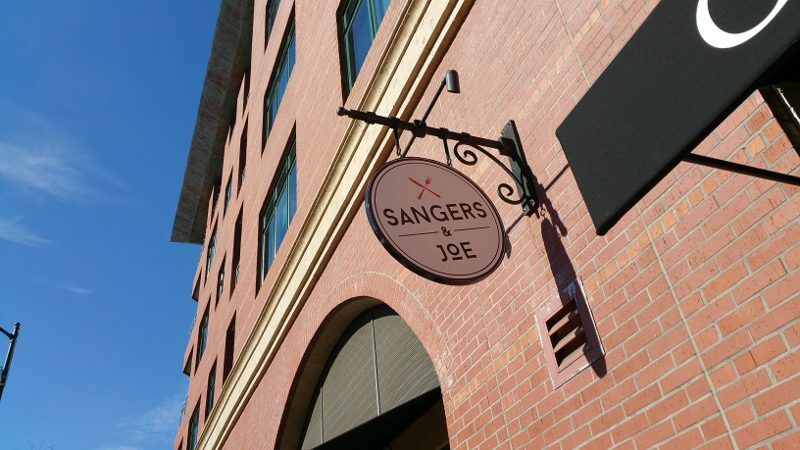 It is a place that foodies come to and locals embrace. No matter who you are, you will feel welcome the moment you walk in, almost like you are part of the family. And it is almost like family. Ann-Marie and Ted have not only worked together at past restaurants but they are family. Ann-Marie’s brother is married to Ted’s sister and they have known each other for most of their lives. The familiarity and warmth is felt throughout the restaurant. The cocktails range from cocktails-on-tap to seasonal libations made with house-made infusions. There are ten local beers on draft, as well as eight wines by the glass (four white and four red) that are all available on tap. Beers and wines by the bottle are also available. 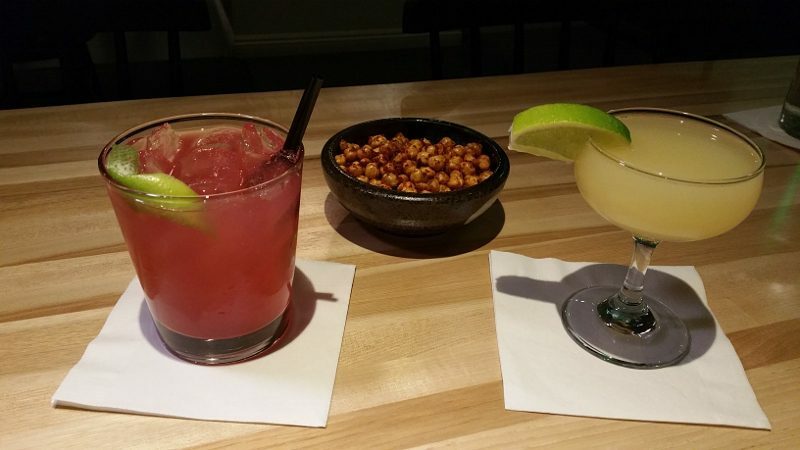 During the week, The Bellwether offers a happy hour all night on Monday and from 5-7pm on Tuesday – Friday. During the happy hour, select draft beers are $5, a glass of on-tap wine is $9 or a signature cocktail such as the Bellwether Manhattan is $9. While we did not order a happy hour drink, rather selecting the bright and tart Not Your Mama’s Mule (House Infused Kaffir Lime and Ginger Tito’s Vodka, Pomegranate Juice, Lime, Ginger Beer) and the richer but tart I Know It Was You, Fredo (Flor de Cana White Rum, Banana Simple Syrup, Lime), we did try the Crunchy Spicy Chickpeas, made with aleppo chili, smoked pimenton and cayenne pepper, that are available for $5 as happy hour bar bites. The food menu offers a selection of familiar dishes that are elevated but approachable. The seasonal produce comes from local farmers and the menu changes regularly. There is a section at the top of the menu called R&D where new dishes are tested. 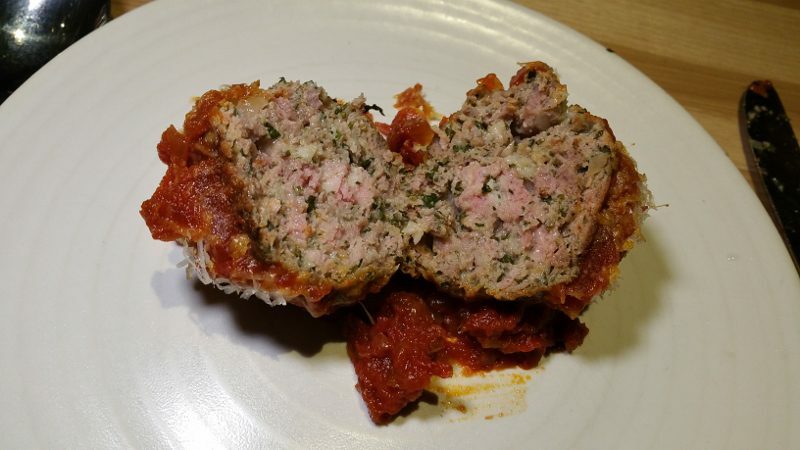 When we went, the Meatballs were under the R&D section but have since become as regular dish. No wonder, as the meatballs, made with pork and beef and served in a bowl and covered with tomato sauce, ricotta and pecorino and grilled ciabatta bread, are very tasty and the perfect comfort food. The rest of the menu is divided between Share a Little plates and Share a Lot plates. 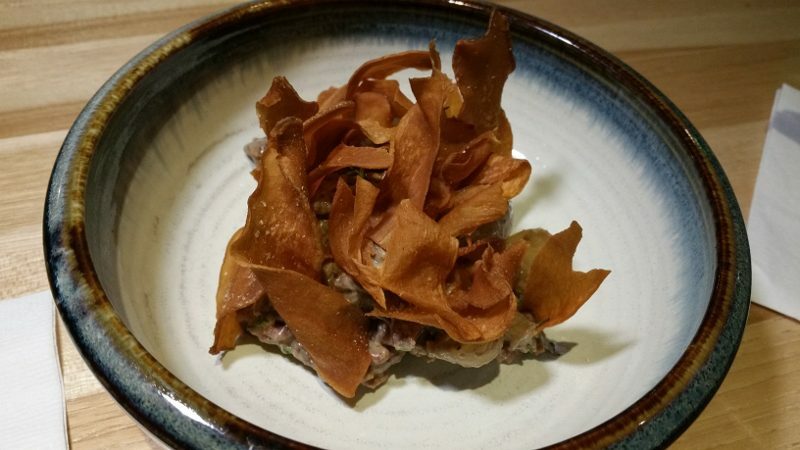 The Beef Tartare is served with grilled porcini, grilled cippollini onion and black truffle and topped with mushroom chips which I just loved. Do not let the color of the tartare throw you off. It is a shade of brown due to the mushrooms but still tastes very good. Fried cauliflower, or cauliflower roasted, seem to be a rather popular vegetable trending right now. 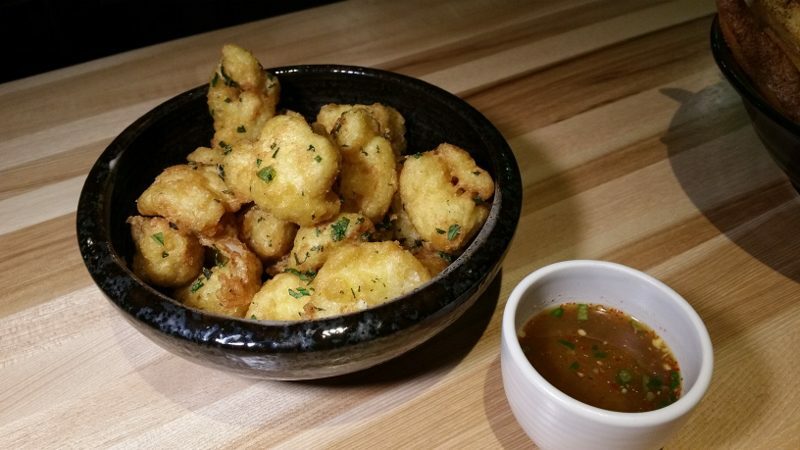 At The Bellwether, the Tempura Cauliflower is well-seasoned and the tempura batter is crispy and light. The dipping sauce is super tasty and adds a good amount of heat as it is made with Thai chili, mint, Thai basil, lime and nam pha. 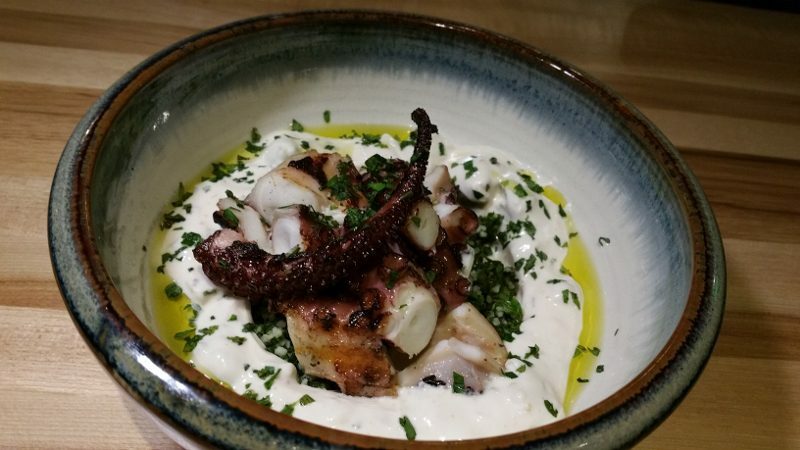 The Charred Octopus has a Mediterranean flavor, served with tabbouleh, preserved lemon, Greek yogurt and green olive oil. After the spice of the tempura cauliflower, this dish was a nice welcome to my palate. 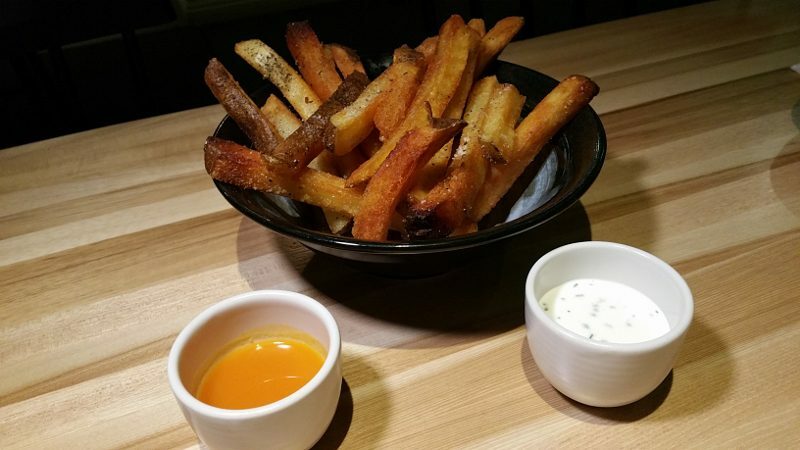 The French Fries are not your typical fries. Cut into thick long squares, they look more like skinny steak fries. They are more like potato sticks, thick, rich and more about the potato than the fried flavor. Chef Ted spends three days preparing these fries and while I do not know what he does to make them, they are worth eating. I preferred the chive creme fraiche as my dipping sauce but the house hot sauce is also good, especially if you want a little heat. After filling up on a number of Share a Little plates, we selected only one dish from the Share a Lot section. 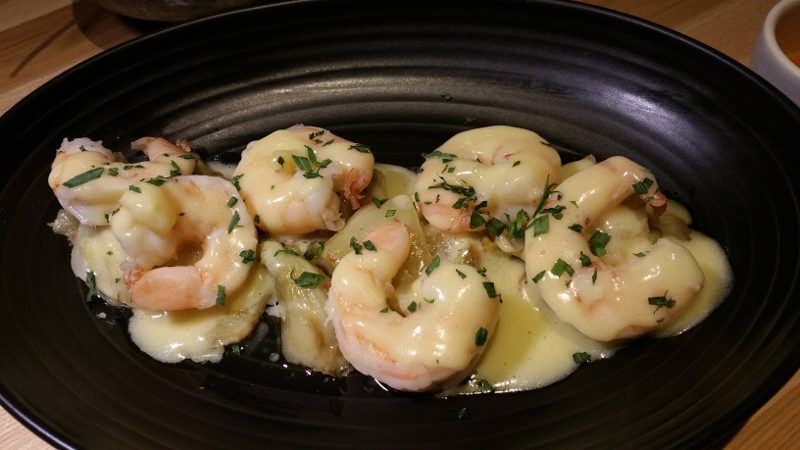 The Poached Shrimp is prepared with brown butter roasted fennel, bernaise and meyer lemon. Anytime a dish has brown butter in it, I am sold. The desserts are prepared by former Lukshon pastry chef John Park Quenelle who had formerly worked with Ted and Ann-Marie. 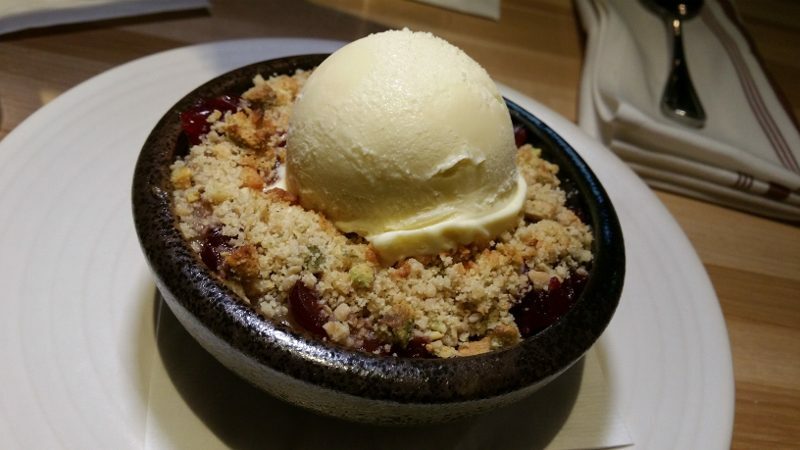 Perfect for the cold weather, we enjoyed the Baked Apple Streusel made with spiced cranberries, pumpkin seed, pistachio and Nilla Wafer ice cream. 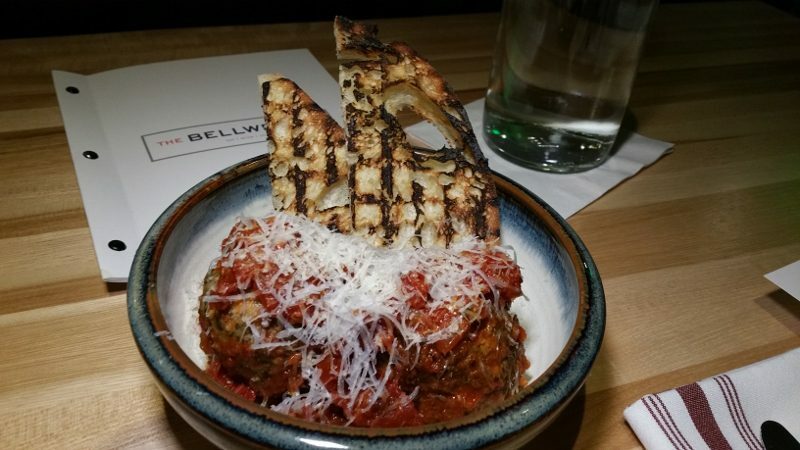 Thanks to The Bellwether, the Valley is becoming a foodie destination while satisfying the neighborhood with comfort food. 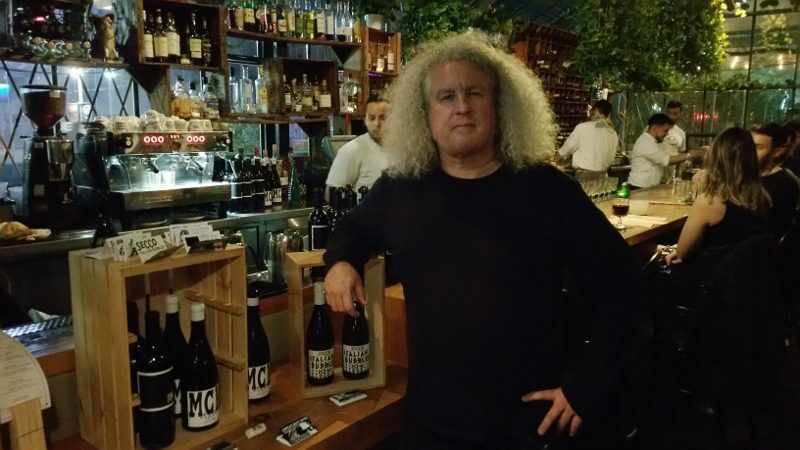 Washington winemaker Charles Smith teams up for a ‘wine-centric pop-up’ in L.A.
Winemaker Charles Smith looks like a rock star, and in many ways he is one. In less than 15 years, he has made quite a name for himself in wine. He was named “Winemaker of the Year” by Food & Wine magazine in 2009 and “Winemaker of the Year” by Seattle Magazine in 2010. With his head full of long wavy hair, he looks like he should be standing on stage in front of millions of fans. Well, he wasn’t standing in front of millions, but rather approximately 40 people, who eagerly showed up for a “pop-up” event at chef Roy Choi’s Commissary at The Line Hotel in Los Angeles. Charles Smith paired five of his wines with five courses of Mediterranean food prepared by guest chef Zoi Antonitsas of Seattle. This was a rather rare outing as Smith is not a big fan of traditional wine dinners and rather prefers more interactive, casual events.